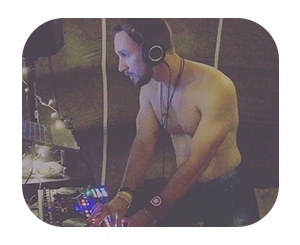 Steward of the sacred soundscape, Free Radical is an Austin native born from the heart of the underground. His mission is to spread love through the healing power of music and dance, one beat at a time. Music was an obsession early on in his life, and later became a guide through some of his darkest moments. Owing his life to music, it is now his sacred duty to pay it forward- helping others through their own hardships with sick beats, inspirational vibes and infinite hugs. Free Radical loves progressive flavors in a variety of genres: breaks, house, trance, and drum and bass. As a philosopher DJ, he believes that Trance is a state of mind and not just a genre. With this in mind and the bassline as our guide, let's groove with one foot in this world and the other in a dream.